A trade mark is a sign that you can use to distinguish your business’ goods or services from those of other traders. The sign can be any letter, word, numeral, device (drawing or design), name, brand, label, aspect of packaging, shape, colour, sound, or a combination of these elements. You can register your mark as a trade mark as long as it is distinctive from similar marks of other traders. Registered trade marks in Singapore are protected by the Trade Marks Act (Cap. 332) together with its subsidiary legislation which consists of the Trade Marks Rules and Trade Marks (International Registration) Rules. If you register a trade mark with the Intellectual Property Office of Singapore (IPOS), you can use the ® symbol next to your mark. Registration grants the owner a statutory monopoly of the trade mark in Singapore. The protection granted to a trade mark registration is for an initial period of 10 years, and it can last indefinitely if the registration is renewed every 10 years. Although it is not compulsory to register a trade mark in order to use it, a trade mark registration adds great value to a business. By obtaining a trade mark registration, the trade mark owner possesses rights to control the use of a trade mark. Prevent a later trade mark, which is similar or identical to an earlier registered trade mark, from being registered in Singapore in relation to the same or similar goods or services. The owner of the registered trade mark can also exploit the mark in many ways. It can better protect market share by barring others from copying it; it can be licensed to third parties for commercial returns (franchise); it can be sold outright for a specified value or it may be used to raise equity for business undertakings. 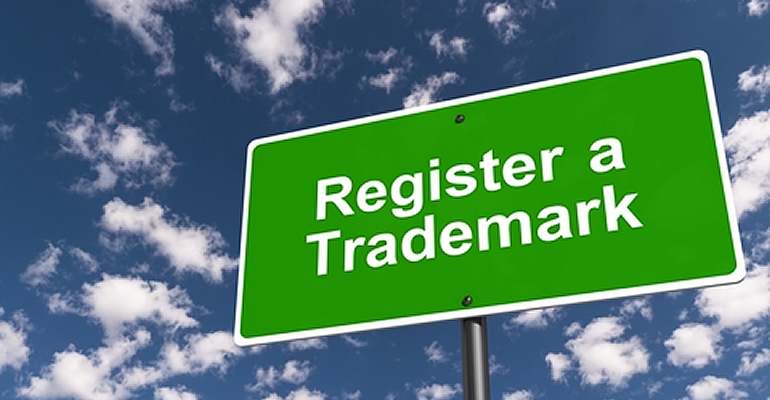 An individual, firm or company claiming to be the owner of a trade mark can file for a trade mark registration as long as they are using, or have the intention to use, the mark in the course of their business. There is no restriction or discrimination as to nationality or residency. However, an applicant must provide the Registry of Trade Marks with an address for service in Singapore to which all correspondences regarding the trade mark application will be sent. The scope of protection of a trade mark registration is determined by the goods or services in relation to which the trade mark is registered. Singapore is a party to the International Classification of Goods and Services as prescribed by the Nice Agreement to classify goods and services. The Nice Agreement is an international agreement that is used in more than 140 countries worldwide and in international applications for the registration of marks under the Madrid Protocol. The owner of a trade mark should use the mark properly and continuously. Whenever and wherever possible, a trade mark should be actively applied to reinforce the trade mark identity with its associated goods or services. If a registered trade mark has not been used consecutively for five years, there is a risk of the trade mark being removed from the register. Responsibility lies on the trade mark owner in preventing misuse or infringement of a registered trade mark. If the owner detects another party infringing a registered mark, action should be taken promptly against the infringing party. Once an infringement of a registered trade mark is established, the owner can take legal action against the infringing party by seeking relief in the form of an injunction and either demanding for the profits gained by the infringing party or seeking damages for the loss suffered. IPOS provides applicants with the option to file multi-class applications or separate applications in different classes for the same mark. The former offers administrative convenience since there is only one trade mark number issued and, with consolidated examination reports issued by IPOS, there is only one deadline for you to note. Trade mark protection is territorial in nature. A separate registration will have to be made in each of the countries where trade mark protection is desired. To obtain protection outside Singapore, it is necessary to file applications in the countries concerned either individually to the trade marks offices of those countries, or via the Madrid Protocol. The Madrid Protocol provides for a system of international registration of trade marks. It allows a trade mark owner to seek protection for a trade mark in several countries simultaneously by filing one application with a single office, in one language, and with one set of fees. Singapore is a contracting party under the Madrid Protocol. An international application may be filed with IPOS in Singapore. Singapore may also be designated as a country for trade mark protection in an international application filed under the Madrid Protocol from a member country. Singapore is ranked third in the world and top in Asia for having the best IP protection in the World Economic Forum’s Global Competitiveness Report 2018. Singapore is also ranked fifth on the International Property Rights Index, which measures the strength of a country’s property rights regime, including both intellectual and physical property rights. A trade mark can add value to your business. Using a trade mark can help customers easily identify and remember your products and services, allowing you to build customer loyalty and protect your market share. Sovereign Singapore can assist with trade mark applications in Singapore and can provide cost effective advice to clients on the acquisition, exploitation, use and enforcement of intellectual property rights on both a domestic and cross-border basis. We can also provide strategic advice to both established and developing companies. For more information, please contact Desiree Tan.